St Mark & St Cuthbert’s is a lovely church interior with lots of space for guests, so we warmly welcome baptism requests from families in the parish or who are closely connected with the church. Please pop along to a service, to Messy Church or Bertie’s or to a coffee morning to pick up a Baptism Information Sheet, phone the vicarage on 455 4682 or fill in the enquiry form below. Baptism is not just to celebrate the gift of a child, but to make solemn promises to bring them up in the Christian faith. We are happy to talk about a Thanksgiving service if you would like to celebrate but are not sure about making the baptism promises right now. We baptize adults as well as children, and if you have been baptized but not confirmed and would like to be, we also prepare adults and over 12s for confirmation. Children can be admitted to communion from the age of 7. Baptism services usually take place in the first weekend of the month, most often on Sundays at 11.15 and 12.00, but very occasionally on Saturdays too. In 2019, those dates are: Feb 3rd, March 3rd, April 7th, May 5th, June 2nd, July 7th, Aug 4th, Sept 1st, Oct 6th, Nov 3rd. Availability will be notified on request. 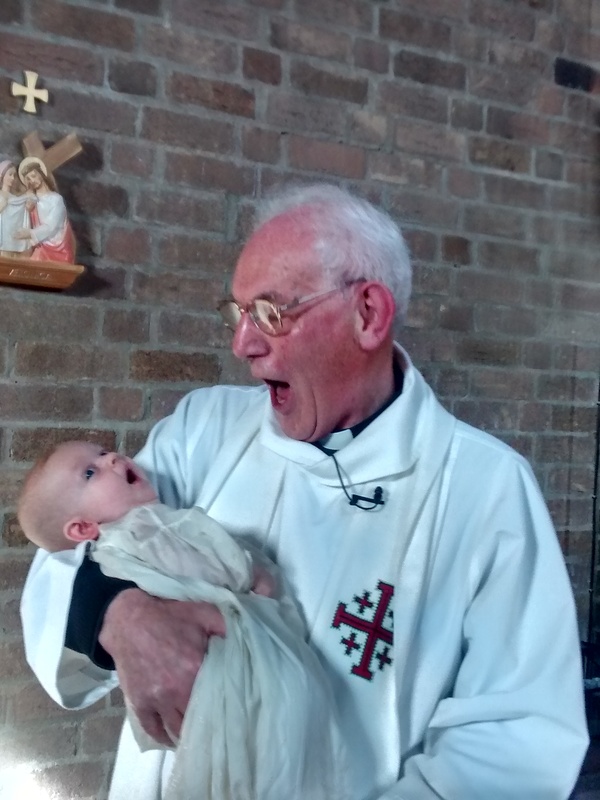 Please complete the form below to apply – and we will be in touch to let you know which times are still free and to talk about your godparents (max: 5, all baptized).